Northern Hemisphere Astro Calendar - The "Northern Star"
Each monthly section consists of a two-page horizontal spread, with the upper page devoted primarily to information about the Sun and Moon, and references to the soul calendar verses for the relevant week. 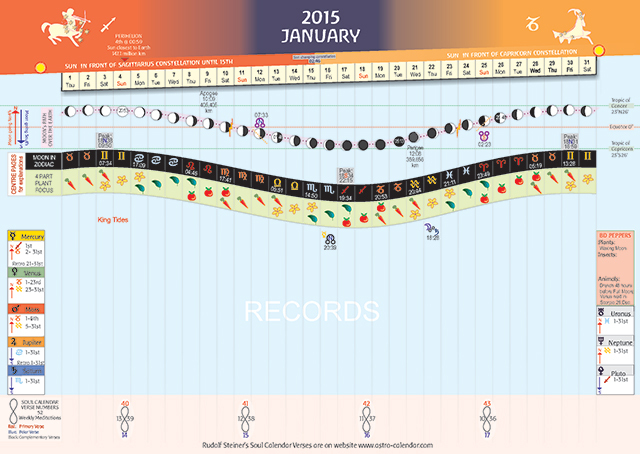 The view below shows the top part of the January spread along with notes describing its features and use. 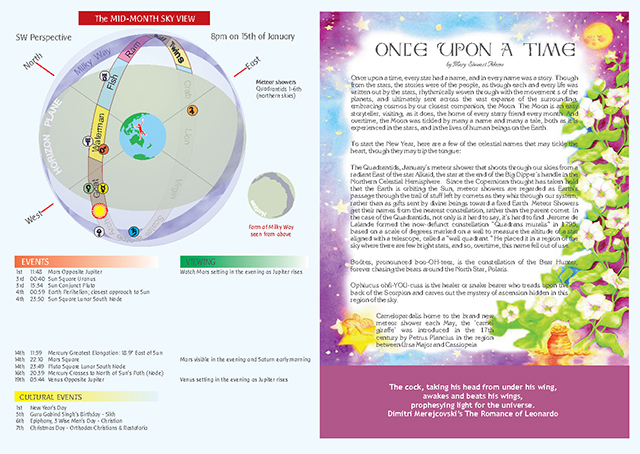 The lower page (shown below for January 2015) features a mid-month sky view, and a list of cultural and astronomical events (left), and a story by Mary Stewart Adams, illustrated by Patricia DeLisa (left).